Bankruptcy does not typically have a positive connotation. 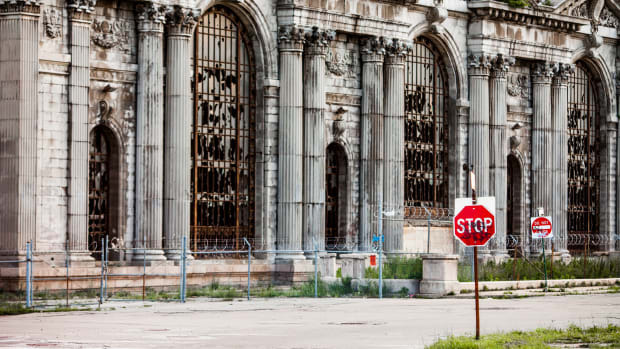 After all, the latter half of the word comes from the Latin root for “broken.” Detroit, the largest American municipality to ever file for bankruptcy, is clearly broken. More than $18 billion in debts pushed the city to this point. In December, a federal judge ruled that even city workers’ pensions are fair game for cuts. 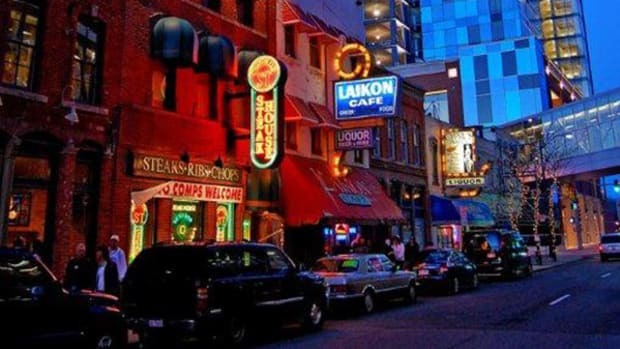 Yet for some—namely foreign investors and owners of the Cleveland Cavaliers—Detroit’s diminished state spells opportunity. Late last year, a Peruvian developer bought the former Packard automotive plant—all 30 football fields of it—for $405,000. Chinese investors are collecting derelict homes, some by the dozens. And Dan Gilbert, founder of Quicken Loans, owns or controls over eight million square feet in more than 40 properties in downtown Detroit. That’s as much space as three Empire State Buildings, and enough to make him the second-largest property owner in downtown after General Motors. IN AN OCTOBER AUCTION, a Chinese firm bought two buildings in downtown Detroit for $13.6 million, including the former home of the Detroit Free Press. The buildings were purchased at auction by the Shanghai-based Dongdu International Group, which outbid Gilbert and snagged the buildings sight unseen. Similarly, since last summer and fall, Chinese and other foreign investors have remotely been buying abandoned homes, often at the cost of an inexpensive dinner, through online auctions and Michigan-based realtors. "Because it’s been so disinvested, because of property values, because of openness, you can come to Detroit and be anything you want to be. You can try anything." Of course, foreign investment in American real estate is not new—in the 1980s, Japanese investors went on a buying binge that included Rockefeller Center in New York City. In 2006, when the United Arab Emirates-based firm Dubai Ports World sought ownership of 22 American ports, Congressional leaders sounded the post-9/11 xenophobic alarm and scuttled the deal, even though roughly 80 percent of U.S. ports were already being managed by foreign operators. A year earlier, an oil company, which the Chinese government owned a majority stake of, created an uproar with an $18.5-billion takeover bid for a California energy company. That deal, too, didn’t happen because of economic and national security concerns. While time hasn’t healed all wounds—the October sale of an American battery manufacturer to a Chinese firm also provoked politicians—Chinese investors continue to run, not walk, toward foreign financial opportunities. Real Capital Analytics says Chinese investment in Europe tripled from 2012 to 2013; in the U.S., the $4.3 billion spent in 2013 by the Chinese on commercial property was more than the previous five years combined. And, according to the Rhodium Group, a New York-based consulting firm, Chinese companies doubled their direct investment in the United States from $7.1 billion in 2012 to $14 billion in 2013 (and up from just $340 million in 2007). Among the myriad middlemen is Jerry Xu, the president of the Detroit Chinese Business Association (DCBA). Founded in 1995, DCBA plays a matchmaker role through a series of networking opportunities like golf outings and trade shows. DCBA also offers “travel coordination service for Chinese and American executives and government officials”—perhaps not surprisingly, Xu, a first-generation Chinese immigrant, has accompanied Michigan Governor Rick Snyder on two of his first three trips to China. Xu said the goal of the trips was to focus investors on their self-interest rather than on Detroit’s woes. Snyder has aggressively sought to build relationships in China. While his predecessor did not travel to China, Snyder visited in each of his first three years in office, 2011-2013. He is trying to bring giant pandas from China to Detroit. And at the end of February, Snyder will be the keynote speaker at the DCBA Chinese New Year gala. 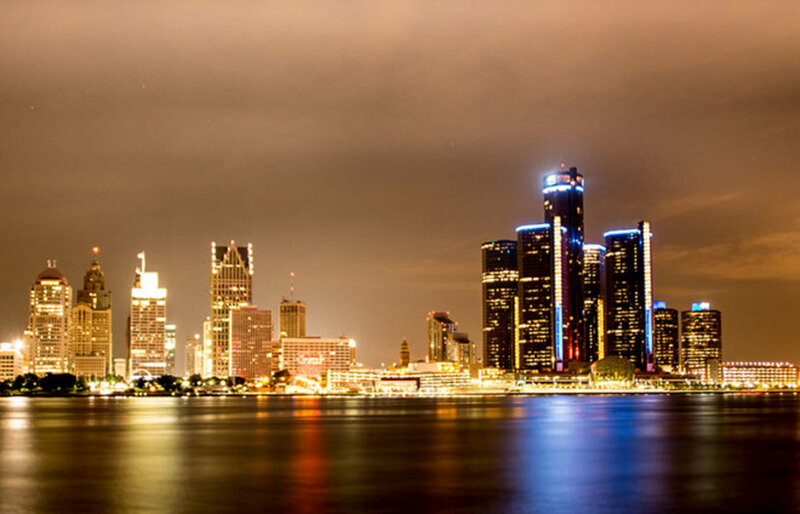 Recently, dozens of Chinese companies have opened offices around Detroit. Yen Chen, senior research economist at the Center for Automotive Research, says the firms are less interested in selling cars in North America than in acquiring talent and technology. WHEN FORMER MAYOR DAVE Bing told The New York Times in the spring that his role in Dan Gilbert’s accumulation of property and wealth “is to knock down as many barriers as possible and get out of the way,” it was the last resort of a man with few options. Bing was siding with Gilbert, the area billionaire who owns four major and minor league sports teams, including the Cleveland Cavaliers. 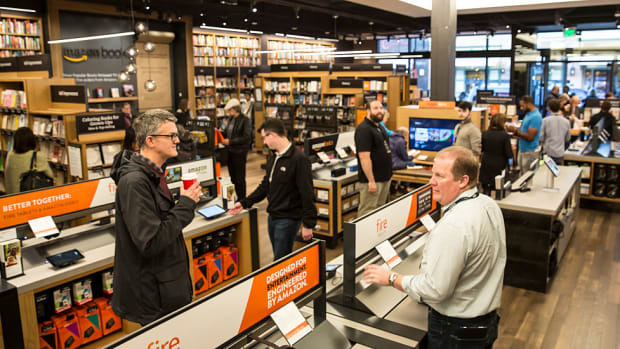 New companies like Shinola are growing, and there is a start-up culture downtown—fostered in large part through Gilbert—that didn’t exist a few years ago. As Rahm Emanuel said, "You never want a serious crisis to go to waste." 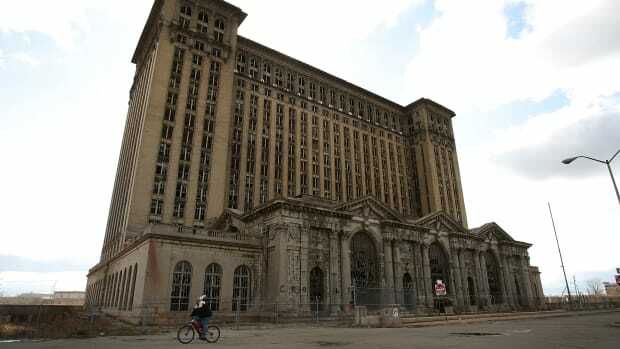 But as Detroit looks to rise again, residents, most of whom are Democrat-voting blacks, have reason to be suspicious. After all, Snyder, a white Republican they didn’t elect, is overseeing its bankruptcy, and L. Brooks Patterson, an openly antagonistic and apparently racist white Republican county executive, is next door in neighboring Oakland County. It’s easy to feel that no one is looking out for the majority of the city’s residents—sometimes literally, what with police taking 58 minutes on average to respond to high-priority 911 calls. 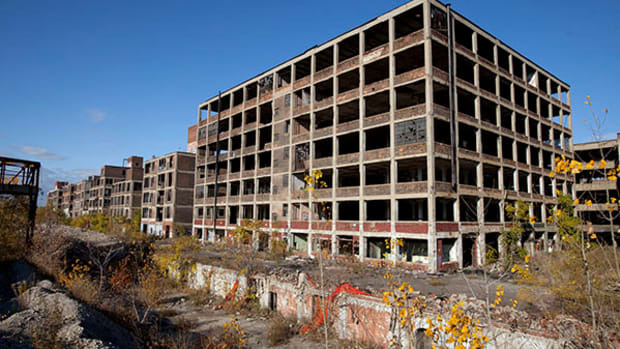 To a casual observer, the conditions in Detroit can bring to mind the bubble that expanded across the country, and later burst, in the 2000s, with Dan Gilbert playing the role of "too big to fail" and Chinese investors reprising the role of the house flippers and the mortgage mess. Given how neither Chinese investment—with huge deals recently in Manhattan, Brooklyn, Oakland, San Francisco, and Los Angeles—nor income inequality is limited to Detroit, and how a steady stream of mayors and governors are still heading to China, the situation in Detroit isn’t unique. It’s just the most desperate. 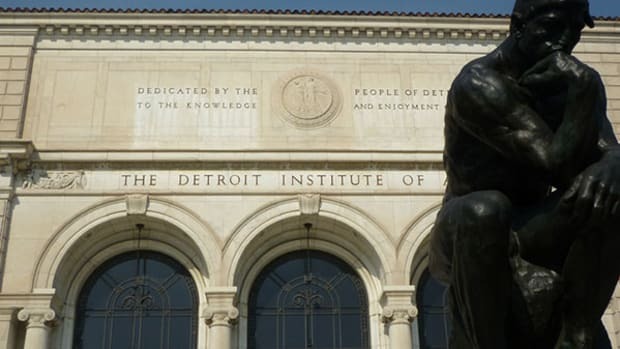 Detroit is thwarting its diagnosis of doom thanks to a group of longtime residents.